For the past few weeks, Hackintoshes have been unable to log into the Messages app (better known as "iMessage") on OS X Mountain Lion. Last week, we showed you how to fix these problems with Clover bootloader, an alternative to the more popular Chameleon and Chimera bootloaders for Hackintoshes. However, if you want a slightly simpler fix, you're in luck: we can now fix the problem using Chimera bootloader instead. Read past the break for details. In this guide, you will install the newest version of Chimera bootloader, as well as an extra DYLIB file to your bootloader's configuration folder. This will allow your Hackintosh to emulate a real Mac, thereby circumventing the authorization problems that Hackintoshes have been experiencing with iMessage. A working Hackintosh: For this guide, we will assume that you already have a working Hackintosh. If you haven't installed Mac OS X on your PC yet, check out our guide to installing OS X Mountain Lion with Unibeast. Chimera Bootloader (version 2.0+): To apply this fix, you need version 2.0 or newer of Chimera bootloader, which can circumvent the new authorization requirements in iMessage. Chimera is installed on your Hackintosh by default when you install UserDSDT or Easybeast in Multibeast. FileNVRAM.dylib: This is a code library that Chimera will use to pretend that your Hackintosh is a real Mac, thereby circumventing iMessage's authorization requirements. As of May 11, 2014, this are three different versions of this file: version 1.1.1, 1.1.2, and 1.1.3. All three versions should work on the newest version of Chimera. However, if you're concerned at compatibility, just download version 1.1.2. Download the newest version of Chimera bootloader. Unzip the downloaded .zip file by double-clicking it, and then double-click the newly unzipped .pkg file of Chimera to start the installation. Choose your main hard drive as the installation location. Run the installer. 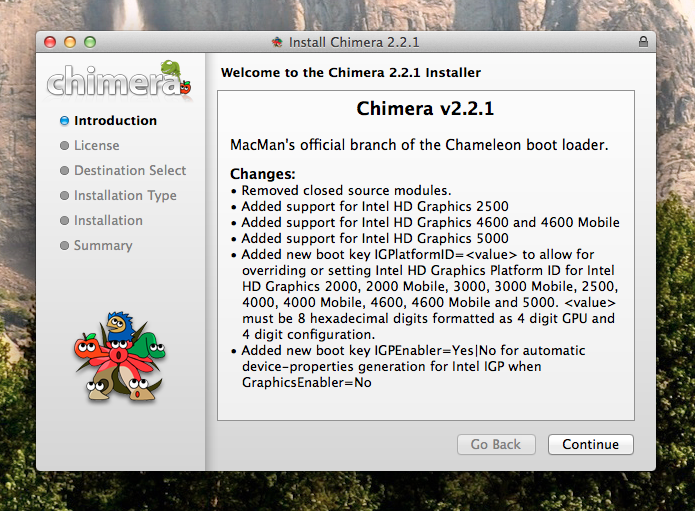 In less than a minute, Chimera bootloader will be successfully installed. You probably won't notice any actual differences when you boot your Hackintosh; all of the changes in this new version of Chimera take place in the background. Open Finder, and go to /Extra in your main hard drive. Inside this "Extra" folder, create a folder named "Modules". 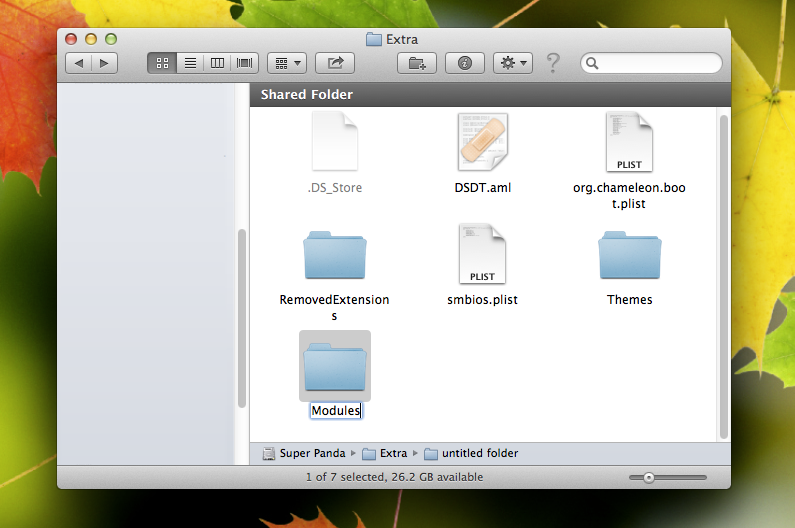 If you already have a folder named "Modules", then just open the currently existing folder. Then, download FileNVRAM.dylib. As of May 11, 2014, this are three different versions of this file: version 1.1.1, 1.1.2, and 1.1.3. All three versions should work on the newest version of Chimera. However, if you're concerned at compatibility, just download version 1.1.2. Drag FileNVRAM.dylib into your new "Modules" folder. This is equivalent to installing the file. Finally, reboot your computer. NOTE: If you already have the file "ACPICodec.dylib" inside your "Modules" folder, you will have to delete it. 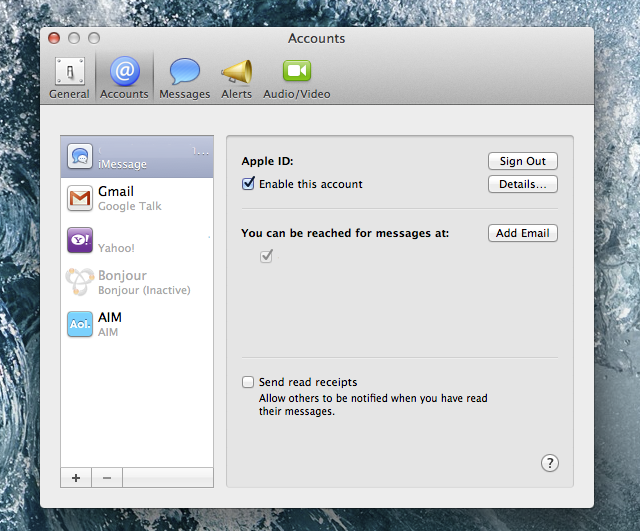 Once you have rebooted into Mac OS X, open the Messages app in Mac OS X, and log into your Apple account. The login process should now work. From now on, your Messages app will work properly. Unlike with the Clover method, logging out of your account won't break the fix. Congratulations! NOTE: When some people try to apply this fix, they receive an error message stating that their Apple ID "can't be used to set up iMessage at this time". There a couple of possible fixes for this issue. First, try logging out and logging back into your Apple ID (iCloud account) from a real Mac or iOS device. You can also try resetting your Apple ID password, or simply waiting and trying to login again later.